. 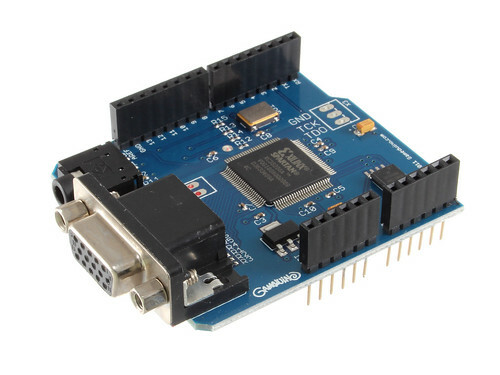 :NEW PRODUCT - Gameduino Shield for Arduino:. Always wanted to write your own 8-bit video games? With a Gameduino and an Arduino you can do just that. The Gameduino is a game adapter for Arduino - built as a single shield that stacks on top of the Arduino and has plugs for a VGA monitor and stereo speakers.